The year 2017 marks the 200th anniversary of the death of Tadeusz Kościuszko. It is one of the anniversaries, covered world-wide by the patronage of UNESCO and an excellent opportunity to commemorate this outstanding figure of Polish culture and history. 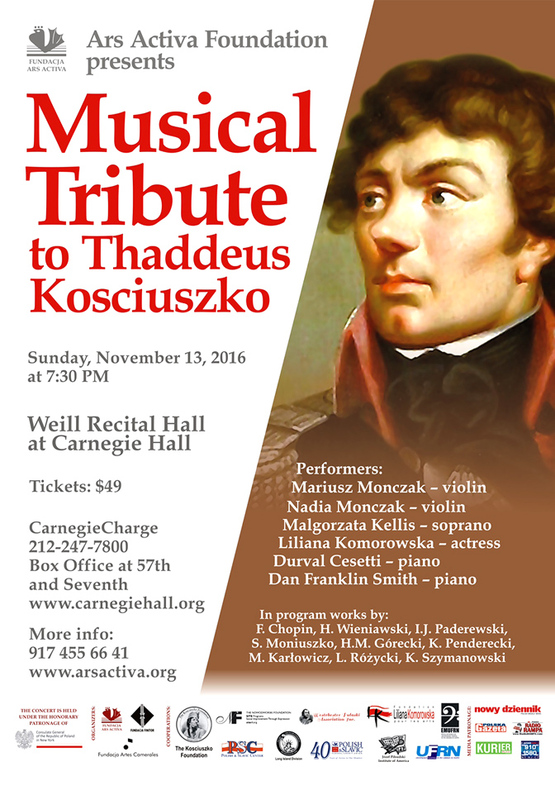 The Foundation Ars Activa begins these celebrations by organizing a gala concert of Polish music in New York’s Carnegie Hall, “Musical Tribute to Tadeusz Kościuszko”. New York, the cultural capital of the United States, is an ideal place to start the celebrations of this 200th Anniversary, and to honor Tadeusz Kosciuszko, “hero of two nations”, Polish and American. The concert will take place on Sunday November 13th 2016 at 7:30pm in the Weill Recital Hall at Carnegie Hall. 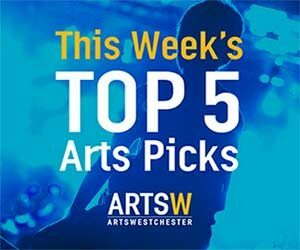 The program will showcase some of the most beautiful chamber music written by 12 Polish composers, from Fryderyk Chopin to Krzysztof Penderecki. 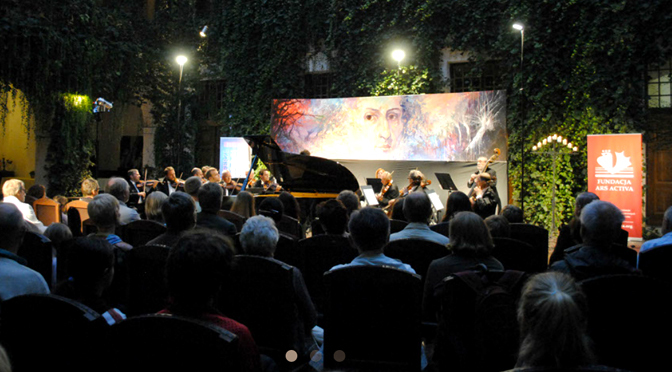 It will be a unique opportunity, to hear works by F. Chopin, St. Moniuszko, I.J. 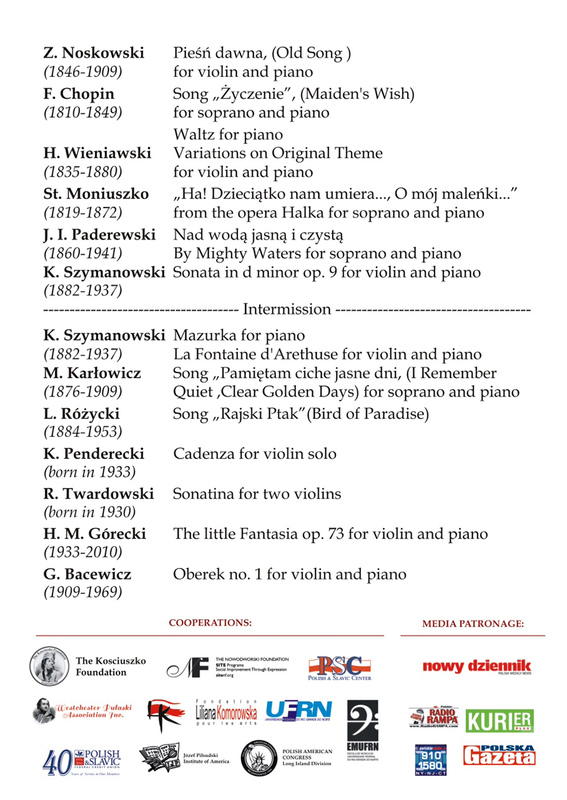 Paderewski, H. Wieniawski, M. Karłowicz, Z. Noskowski, K. Szymanowski, L. Różycki, G. Bacewicz, R. Twardowski, H.M. Górecki, W Kilar i K. Penderecki, all in one evening. The performers of this concert will be Polish, American, Canadian and Brazilian musicians (e: Mariusz Monczak and Nadia Monczak – violin; Małgorzata Kellis – soprano; and pianists Durval Cesetti and Dan Smith. The concert will be hosted by actress Liliana Komorowska.The concert is held under the honorary patronage of the Consulate General of Poland in New York. The partners, in the realization of this project are the Kosciuszko Foundation, the Nowodworski Foundation and the Westchester Pułaski Association. Tickets, $49.00, are on sale at Carnegie Charge, 212-247-7800 or at the Box Office at 57th St & Seventh Ave.